More on interface niceties. 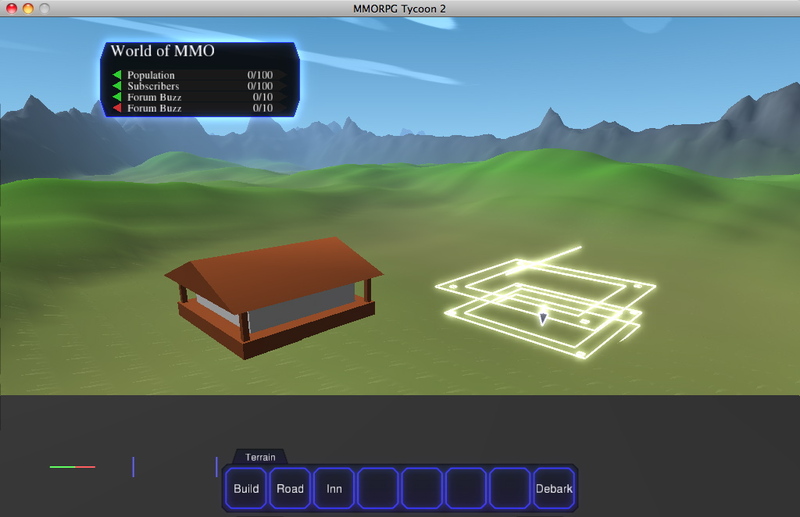 Today I’ve half-converted the building placement interface to the new script-based system. I say “half-converted”, because while the new system is completely functional, the UI hasn’t been adjusted to actually use it yet; if you click on the buttons in the usual build interface, you still get the old interface. The new interface is very similar, except that before you click to place a building, you get a wireframe outline showing precisely where the building will appear if you click. Of course, the wireframe drawing needs a little work; it currently isn’t drawing any vertical lines. I’ll need to fix that eventually, but it’s probably good enough for milestone one. Tomorrow, I’ll get to actually wiring up the build pane to use the new cursor control code. After that, I’ll just need to convert the road-placing interface and the terrain-painting interface, and this side of things will be nicely settled. 20 April, 2010 in Full Games, MMORPG Tycoon.